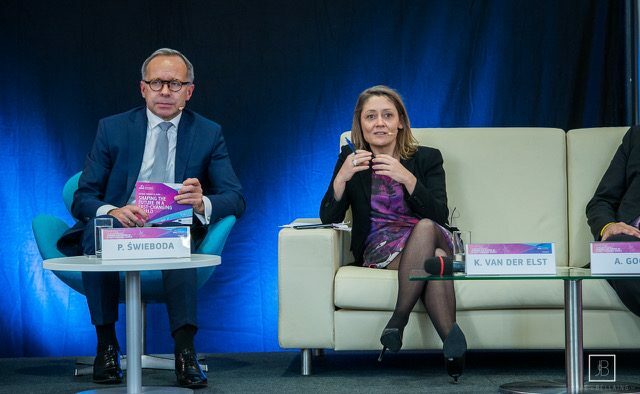 Our Executive Head, Kristel Van der Elst, is at the ESPAS Annual Conference 2018 in Brussels this week, where she spoke about the current credibility crisis resulting from issues such as fake news and lack of transparency, and its implications for “evidence-based” policy. 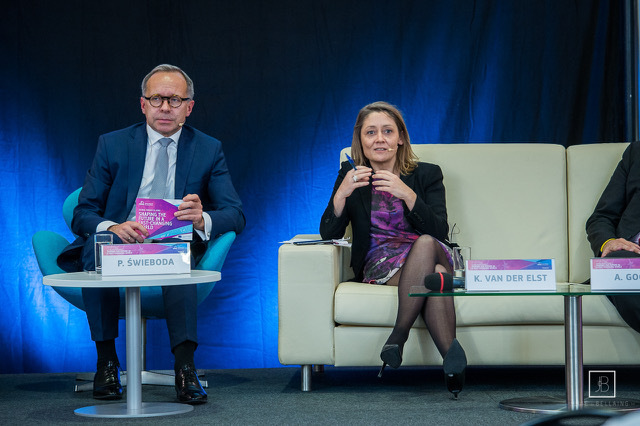 The ESPAS conference brings together global foresight practitioners and strategists to explore and share insights on the social, economic, technological and geopolitical trends shaping the future of Europe and the world. Some of these experts, including our Executive Head, shared their insights in ESPAS’ Shaping the Future in a Fast-Changing Worldpublication. A current crisis of credibility is fuelled by a series of events and revelations which brought into light fake news, opaque think tank practices, non-reproducible research, issues around institutions’ conflicts of interest, lack of transparency and intellectual independence as well as the serving of funders’ interests – corporate and foreign government donors, to name a few. If this trend persists credibility will be an intense challenge for experts, think tanks and anyone seeking to persuade with evidence. At the same time we hear the call for ‘evidence-based’ policy. These revelations might sprawl a corrective response towards increased transparency about the sources of and influences on ideas. Despite it, the future of evidence, expertise, and ‘evidence-based’ policy is bound to become increasingly complex. Pluralism in our societies has increased. This makes it more crucial to recognize that while advice might be informed by research, it is often guided by values. As between and within societies dialogue decreases and an over-arching value-set or governance rules erode we can expect advice to become more diverse and biased. Noteworthy here on a global level is China’s strategic goal to create ‘a new type of think tanks with Chinese characteristics’ to improve decision making, modernize state governance and to strengthening its nation’s soft power. We are living in a world where the ambiguity of interpretation is getting stronger. Research has shown that credibility of advice is granted by the receiver of the advice often by heuristic processing rather than through the analysis of the logical argument. In other words, we often take short cuts to compensate for our lack of competence in the subject or a lack of time to spend on truly understanding it. In a world where issues and contexts are increasingly interconnected, fast-changing, messy, complex, unknown we can expect a decrease in decision making based on traditional research. We are also living in a world of novelty, things we have never seen and we do not know how they will play out. In a world where things are unfamiliar, uncertain and unknown the ability to have solid interpretation skills trumps accurate knowledge. Policy is by nature a forward-looking practise, aimed at shaping a future we find desirable. Applying foresight – the assessment of what might happen or be needed in the future – is essential, to make our strategies and decisions more robust and resilient in light of uncertainty, to avoid being blindsided by change, to build a common desired future and to influence others by engaging their fear and hopes. As any other powerful tool, foresight and the future – which holds no data, only assumptions, hypothesis, expectations, possibilities and preferences – can be used and abused. We are confronted with diverse narratives and research about the future – in evidence-based policy and in public opinion shaping. It might be worth for each of us to systematically reflect on ‘whose’ future we are being persuade by, and what makes us believe it (coming back to Aristotle’s three modes of persuasion – logic, emotional appeal, and the source’s credibility or authority). We have to question our assumptions, be open to learn from comparing and contrasting views of the future, and hone our critical thinking skills. Only then will diversity of thinking fuel better decision making.